This article describes the process used in one example API call. The API Token is required for all subsequent API calls. This token is short lived so you will have to repeat this step to get a new token when the previous token expires.For detailed instruction on getting an API token, refer to this article. 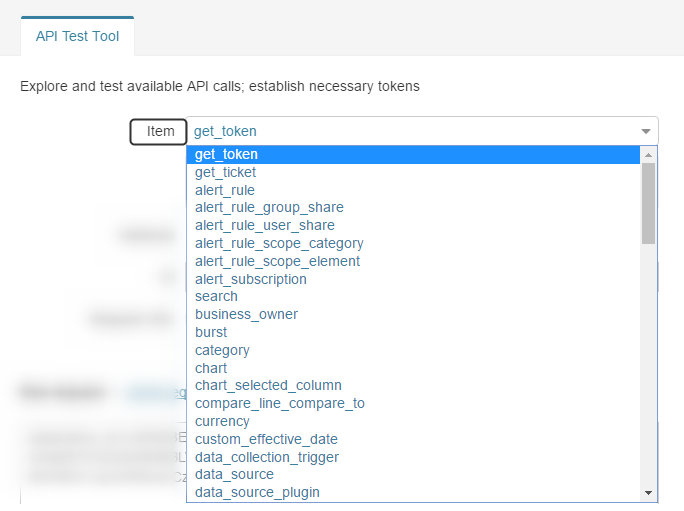 The Item drop-down list contains the available API calls. Each API call has a set of available methods. Choose the Method in the API call. In this example we choose a GET method.